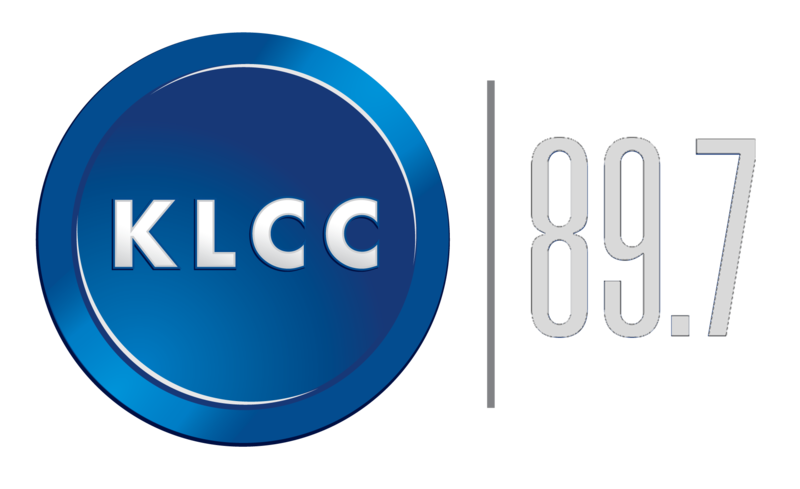 You’re listening to Viz City, KLCC’s Arts Review program. Today’s focus is on the big “Visual Magic : An Oregon Invitationa” show that has just opened at the Jordan Schnitzer Museum of Art. This exhibit showcases 45 Oregon artists who began their creative careers in Oregon during the 1960s and '70s. 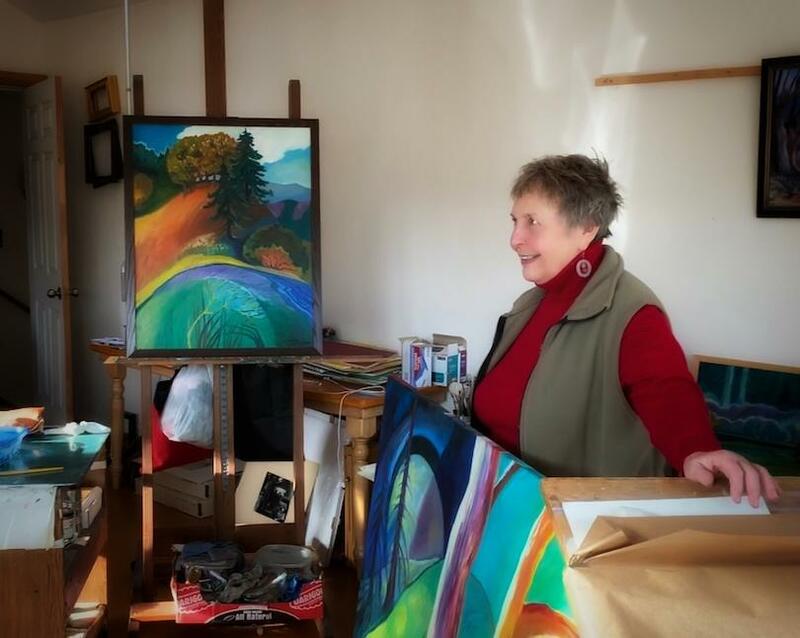 At the top of the list is Yoncalla painter Susan Applegate. "The thing that I’m most interested in painting …. Is exploring the inner vision that I get when I am looking or being in an environment, particularly a natural environment and the ...feeling or emotion that constructs that inner vision. " The piece representing Susan Applegate in the “Visual Magic” show is called “Rain Shower Arc.” She says she begins by sketching and noting tonal values while she’s out in the field. 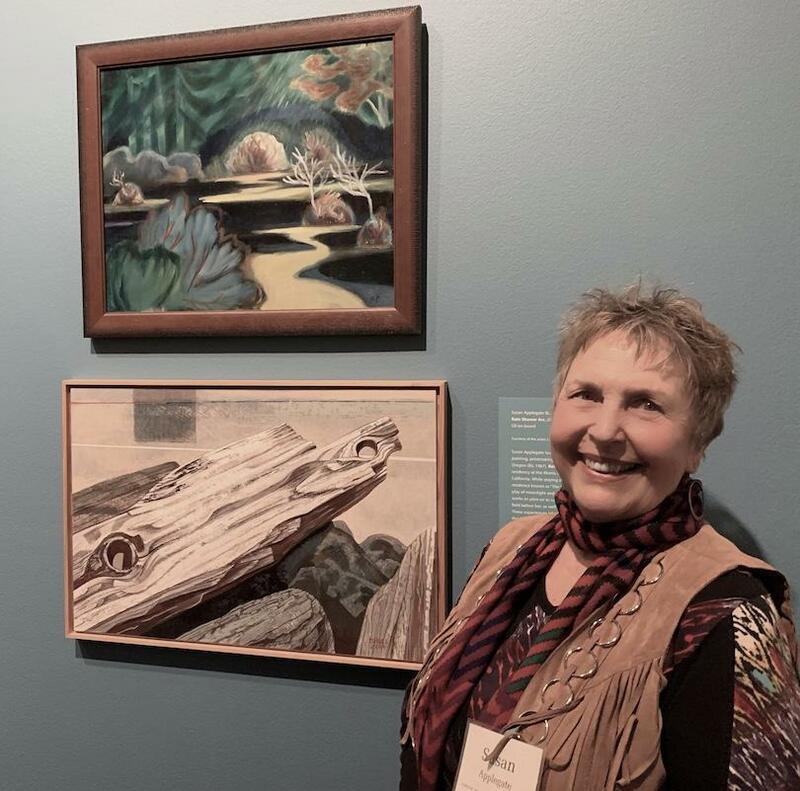 Susan Applegate and her painting (upper left), "Rain Shower Arc." "And that’s when I get back in the studio, and that’s where I use memory, that’s where memory comes in and I try to concentrate or get into that place where the feeling vision was." "The most underlying feeling in that is ...this… mysterious presence that the natural landscape is imbued with, the conversation that exists between rock and tree, water ... All of these conversations, they’re sacred in a way because they are imbued with a force that is present in us, as well, but we’re so busy being ourselves that we often miss out on that beautiful transaction. " 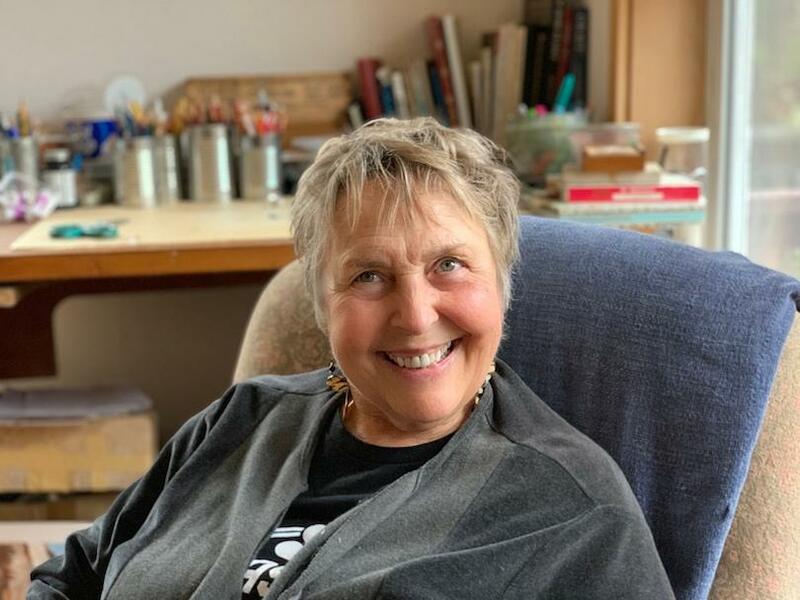 Don’t miss out on the result of that beautiful transaction for Susan Applegate and 44 other Oregon artists at the “Visual Magic.” It’s all happening at the Jordan Schnitzer Museum of Art through May 12. See more about Susan Applegate at the Viz City blog on KLCC.org.